In a year that's given us several (mostly terrific) superhero movies, it would seem unlikely that many wouldn't be ready for one that feels like the ultimate event for these sorts of films. In a different world, I would have been inclined to say Justice League was that event, but my mixed-positive reaction aside, it just didn't work out that way. This is where Avengers: Infinity War comes in. Enjoy the trailer above, and I'll throw in some more thoughts below. Marvel Studios has managed to do something pretty amazing with the MCU. For better or worse, they have developed a consistent brand that delivers a level of entertainment (sometimes disposable entertainment) satisfying to people around the world. Bringing comics books to life is no simple thing, and while there have been questions about how ambitious or cinematic these offerings have really been, one can't not give credit to this little experiment that began with Iron Man for working. So now, with Infinity War on the way, I can't watch this trailer without thinking about how everything feels earned. The time was taken to establish all the pieces separately (as opposed to jumping right in and assuming it would all work out) and the results, at the very least, impressive. 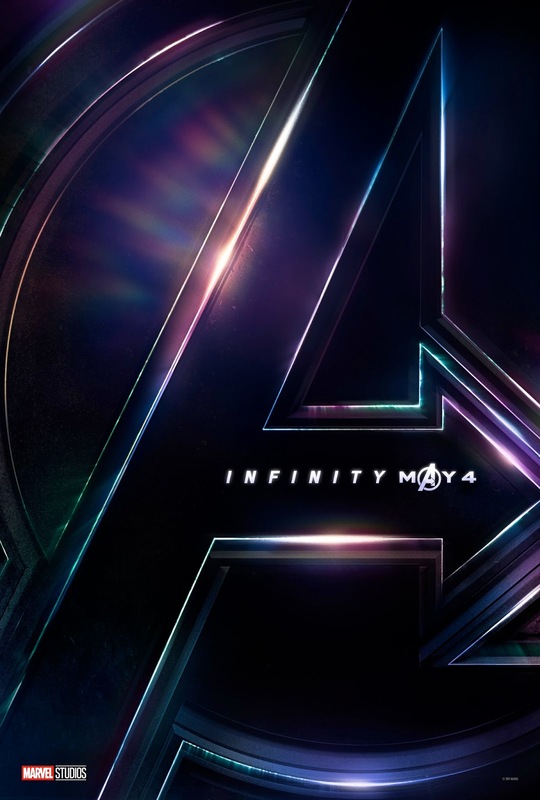 Combining so many characters for one film feels like a massive undertaking, and I'll be very curious to see how directors Anthony and Joe Russo and writers Christopher Markus and Stephen McFeely pull it off. Being someone that liked both previous Avengers films (Age of Ultron even more so, because I'm weird) by Joss Whedon, I can only hope this team goes the extra mile in making this more than just the ultimate fan film with an infinite budget. As far as the trailer goes, there's a lot of geeky fun to be had in seeing certain people together for the first time. Sadly, we're merely getting the "mournful" trailer that typically comes before the "fun" trailer months later, so no quippy dialogue is present and everything seems like a downer for our heroes. That said, at least there's no slowed-down pop song, and I actually liked hearing the cast speak Nick Fury's old Avengers speech. This all happens while introducing the significant threat that is Thanos (Josh Brolin), who has come for the Infinity Stones and take over...everything, I guess. Seems like he already has a lot of power and runs the universe, but whatever, we'll see what happens. Some big highlights occur. Spider-Man has a hair-raising moment. Hulkbuster is back. Cap has a beard now. The Wakanda army plays a huge role but, hopefully, they aren't the first line of defense, which calls to mind South Park: Bigger, Longer and Uncut. A couple characters are also probably going to die. I know Marvel is smart with their trailer edits, but Vision and Loki seem just disposable enough at this point for me to question their continued presence in these films, but we'll see. Regardless, Black Panther gets the best damn moment of this thing, as far as I'm concerned, when he says, "Give this man his shield." The guy hasn't even had his own solo film yet, and he's already the best team leader of this franchise. Chadwick Boseman is a movie star. I don't know what came out in the "leaked" footage that hit the internet, but based on what was seen at Comic-Con, there's plenty of exciting stuff on the way that isn't in this trailer. Let's just say it involves a lot more of that ragtag group of Guardians featured at the end of this trailer. There will be plenty of places to find more analysis of what everything means, but it's hard not to be excited about a film with the potential for so much scope. I may still be more excited for Black Panther (it just feels different than everything), but looking at this and seeing how things got to this point, it will surely be a lot of fun to watch anyway...and it's only part 1. Starring: Chris Evans, Robert Downey Jr., Chris Pratt, Chris Hemsworth, Tom Hiddleston, Scarlett Johansson, Mark Ruffalo, Jeremy Renner, Zoe Saldana, Elizabeth Olsen, Paul Rudd, Benedict Cumberbatch, Karen Gillan, Chadwick Boseman, Gwyneth Paltrow, Anthony Mackie, Tom Holland, Tessa Thompson, Sebastian Stan, Paul Bettany, Cobie Smulders, Don Cheadle, Dave Baustia, Bradley Cooper, Pom Klementieff, Vin Diesel, Benedict Wong, Sean Gunn, Benecio del Toro, Jon Favreau and Josh Brolin.